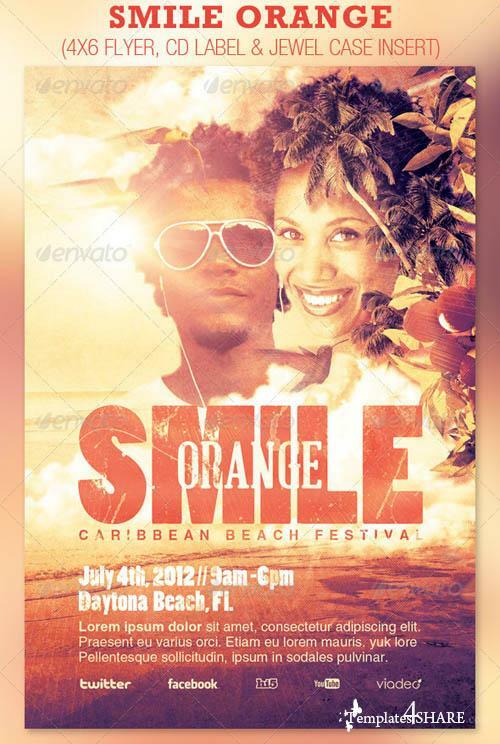 This Smile Orange Caribbean Beach Festival Flyer is great for any event, especially for the Spring and Summer seasons. All elements shown are included in the PSD except for the models. In this package you'll find 3 Photoshop files. 12 beautiful One-Click color options are included; you can even mix colors to get some surprising results! All layers are arranged, color coded and simple to edit.